American Airlines has one of the best loyalty programs (especially for beginners). Not only are the award charts well priced, it's also easy to earn AA miles. And the best part? You don't even need to fly! Don't be intimidated by the thought of joining a frequent flier program. As you'll see, there are a ton of ways to earn miles without ever leaving the ground. Before you take any of these steps, remember to sign up for an AAdvantage account. It's completely free to do so and you don't need a credit card. You will need your frequent flyer number to enroll in the various partner programs. An American Airlines credit card promotion is the best way to earn AAdvantage miles fast without flying. Just by getting a new card and spending the required amount to hit the bonus miles reward, you'll have enough miles to go somewhere amazing. 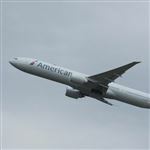 You can earn miles by flying with American Airlines, American Eagle, or any of its oneworld partners. 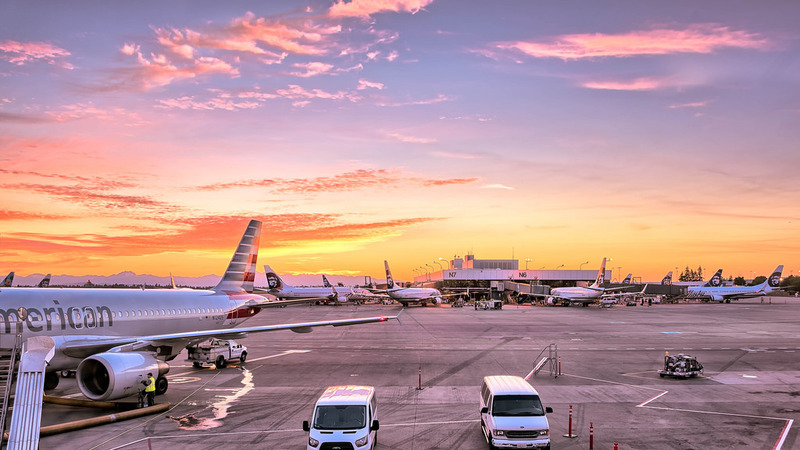 Familiarize yourself with partner airlines and their mileage chart, as well as booking codes (i.e., fare classes) to ensure you are earning the correct number of miles. Search and select the flight(s) you want on aa.com. Click on "Details" to open a window that will show the flight's information (including the booking code). Always enter your AAdvantage number at the time of booking and when you check in (online or at the airport). The number of miles earned is based on ticket price (excluding government-imposed taxes and fees). You can earn a maximum of 75,000 award miles per ticket. Earning Elite Status: You can earn Elite status by flying. For example, Gold status requires flying 25,000 miles or 30 segments with AA in a year. Once you achieve Elite status (Gold or higher), you'll receive cool perks like free checked bags, complimentary upgrades, and an elite mileage bonus that you can't get elsewhere. Click here to learn more. American Airlines has an AAdvantage eShopping Mall that gives you bonus miles at 950+ stores. For the best current deals, check the Featured Offers and Last Minute Offers pages. You'll find stores with limited-time, increased earn rates. You can use any credit card to check out. So this is a good opportunity to get double rewards. For example, if you have a card that gives you bonus cash back at department stores, you can use that card to shop at Macy's on AA and get cash back PLUS 3 miles per dollar. Tip: There are additional opportunities to earn a fixed number of miles by switching your cell phone service to Sprint for 30,000 miles, buying a DNA kit from 23andme.com for 1,000 miles, or similar. Other stores have a mileage-to-dollar spent ratio. For example, you can earn 6 miles per dollar spent at Walgreens and 10 miles per dollar spent at Groupon. Search, shop and earn - it's as easy as that! AA's AAdvantage Dining program gives you miles for eating at participating restaurants. You can earn up to 5 AAdvantage® miles per dollar spent. This is a fun way to earn miles and discover new restaurants in your city. There are 1,100+ participating restaurants, bars and clubs throughout the U.S. You simply join their dining program with your frequent flyer number and register a credit card. Then when you eat at one of the restaurants, just pay your bill with the registered credit card in order to earn extra miles. 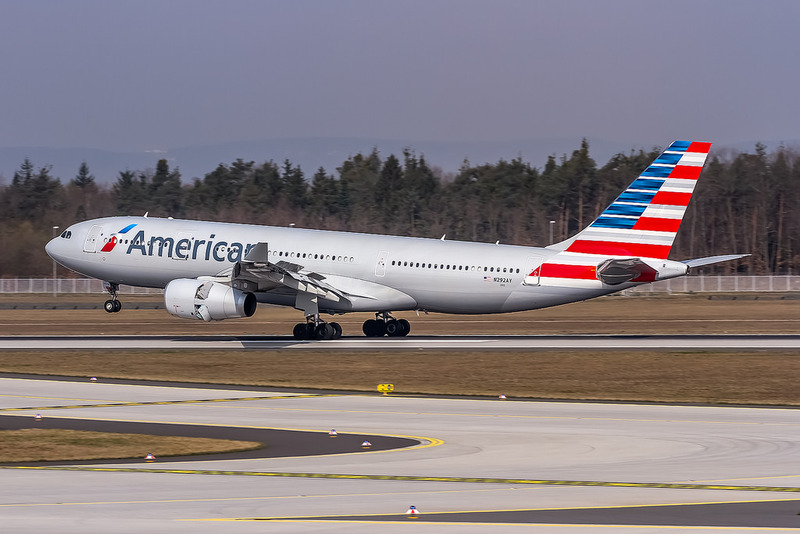 It doesn't hurt to check American Airlines Vacations when planning your next vacation, especially if you want the convenience of a 1-click booking. Booking a cruise is another way to earn bonus miles! Find pricing and availability at American Airlines Cruises. You'll be able to earn 10,000-50,000 bonus AAdvantage miles on select cruise lines, including Norwegian, Azamara. Royal Caribbean, Viking River and Ocean, Windstar, and Ponant. If you have one of the AAdvantage® credit cards, you can earn an additional 3 miles per $1 spent (maximum 20,000 miles). Even if you just have an AAdvantage account, you can earn up to 1 mile per $1 spent (maximum 10,000 miles). You can find AA's negotiated hotel rates at bookaahotels.com, where you can earn up to 10,000 bonus miles per night on select properties. 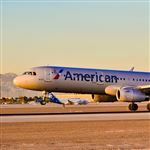 It doesn't hurt to check American Airlines' special hotel rates if you're going to popular destinations. Out of all the participating hotel partners, Starwood offers one of the most attractive deal. For every 60,000 points transferred within the same transaction, you'll earn 15,000 bonus points. Car rentals: You can earn at least 500 miles per rental car reservation through preferred suppliers Avis and Budget. If you use specific discount codes and one of the AA credit cards, you'll earn 750 miles per rental. American Airlines also have partnerships with Payless, Alamo, National, Dollar, Hertz, Thrifty, Europcar, and Sixt, with special promotions popping up from time to time. Airport transfers: American Airlines partners with both GroundLink (200 miles per ride) and SuperShuttle (50 miles per ride). Travelers who prefer private luxury transfer services have the option of booking ExecuCar (150 miles per ride). If based in New York City, Carmel's car services rewards you 100 bonus miles for every ride. Airport parking: For those who prefer to park their car at the airport when traveling, look into PreFlight Airport Parking. You can earn 1 mile for every $1 you spend parking at the airport. Just remember to enter your AAdvantage number at the time of booking. Like the shopping portals, you can use any credit card to pay. Just chilling in front of the TV? Take surveys at the same time and earn AA miles. Earn 250 AAdvantage miles just by signing up for the e-Rewards® Opinion Panel. You earn e-Reward points for every market research survey, which can then be traded for AA miles. American Airlines also has their own Miles for Opinions program. You get miles for every survey you take. The miles are automatically deposited into your AAdvantage account. Live in Texas? Consider switching to Gexa Energy for free to earn 15,000 AAdvantage Miles as a welcome bonus. Afterwards, you get 2 miles for every $1 paid on your energy charge portion of your bill each month. Also look into reliant (NRG Company), which gives out 15,000 bonus miles for a new signup AND an additional 500 miles each month you're on the plan. Live in Illinois, Maryland, Massachusetts, New Jersey, Ohio, or Pennsylvania? The supplier, NRG Home, also pays out 10,000 miles as a bonus after your second month as an NRG Home customer. You can earn 2 miles for every $1 you spend on the supply portion of your monthly electric bill. Not many people know that you can earn bonus miles by donating to a good cause. Earn 10 miles for every $1 you donate to Susan G. Komen, Stand Up to Cancer, or the National Foundation for Cancer Research. Donations must be made online via the links provided on this page. Remember to enter your AAdvantage number when making your donation. A maximum of 600,000 miles in a twelve-month period can be accrued for the Susan G. Komen and Stand Up to Cancer charities, while the National Foundation for Cancer Research has an annual mileage cap of 1 million miles. Here is a gift that will surely please just about anyone. Now you can earn 3 miles for every $1 at Spafinder.com on Gift Cards accepted at over 20,000 spa and wellness locations worldwide. Gift cards are available with credit ranging from $50-$500 per recipient. You can even use the gift card to pay for part of your next vacation. The Audience Rewards program is a great way to see a Broadway show and earn bonus miles at the same time. Tickets are available for shows in Chicago, Durham, Los Angeles, New York City, San Diego, San Jose, and Tucson. If you are not sure which show to see, check out special offers. Some shows could earn more than 2,000 miles per ticket. All you have to do is sign up for an account with your AAdvantage number. Make sure to always log into your account before making any purchase. 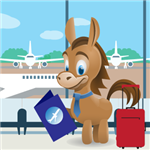 Disclaimer: The information for the Citi® / AAdvantage® Executive World Elite™ Mastercard® and Citi® / AAdvantage® Platinum Select® World Elite™ Mastercard® has been collected independently by CreditDonkey. The card details on this page have not been reviewed or provided by the card issuer. Leave a comment about How to Earn American Airlines Miles Fast?